Jeffrey recently enjoyed spending time with David Livingston on The Space Show. The ninety minute discussion touched on anecdotes from the book, the role of advocates in the space community and just where the Obama administration is headed. Listen here. Posted on Monday, December 21st, 2009 at 3:29 pm	in News. I used to work at NASA in the shuttle and station programs from the early ‘80’s to mid 90’s. One lesson I learned, that most space advocates find unimaginable, is that space commercialization and cheap access to space are a nightmare for NASA. Its why they paid Lockheed/Martin a extra billion dollars to stop them from trying to build a commercial SSTO craft. Why they never fixed the Shuttles. Why they want to go back to Ares/Orion ‘60’s style space programs with high costs, and very low flight rates. If space becomes a real viable commercial area, commonly accessible to commercials and private citizens, NASA becomes a backwater sideshow. If NASA Isn’t a “space spectacle” agency, requiring huge staffs of “researchers”, they would lose all their political support and die. So as much as they can – NASA will fight them. I’m frankly surprised this is so confusing to people? A question though. 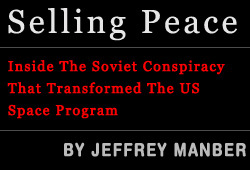 You said on The Space Show that in terms of the commercial deals the Russians honored them. This surprised me given NASA was constantly frustrated with the Russian gov NOT honoring deals with NASA. 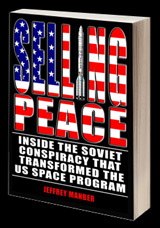 One of the reasons they were so adamant about having MIR disposed of, was they claimed Russia was stealing things NASA paid for – for ISS, and using them for MIR, and MIR was “drawing Russian attention away from ISS”. Do you know why the different degree of reliability in bargains? Great question and great summation of the situation that both you and I lived through! Here’s the distinction and I guess I wasn’t clear during the broadcast. The Russian commercial community honored each and every contract. When RSC Energia signed, they delivered. So too with Khrunichev–whether for ILS or Sea Launch or launching ESA astronauts etc etc. But the Russian government had no funds and yet signed agreements knowing full well they couldn’t honor it. So the Russian government was a dicey partner–NASA should have contracted directly with the Russian contractor community but refused for a whole bunch of reasons. That’s what I was trying to say. I hope this clarifies and answers your question.